Ah, the pros and cons of trying a different dietary lifestyle while on holiday… On the plus side, you’re not at home being taunted by a pantry and fridge full of temptation. On the downside, holiday destinations are jam-packed with luring treats. 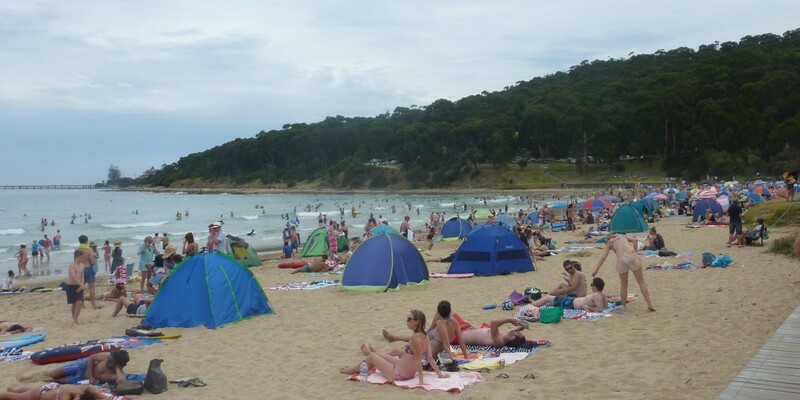 We’re on Victoria’s surf coast, staying at the township of Lorne – an idyllic spot nestled among mountainous hinterland encompassing Erskine Falls and the Great Ocean Road, about two hours out of Melbourne. 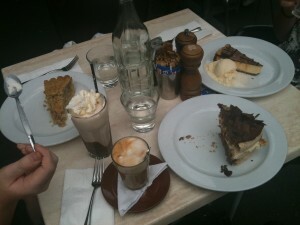 Like most holiday spots, Lorne is also over-flowing with enticements, begging me to abandon this crazy, sugar-free mission. There’s al fresco dining along the main shopping strip, quirky cafes, humming beach kiosks and even the pumping local pub screaming at me to sample their wares. And let’s not even TALK about the ice-cream parlours. That was always a regular family treat on a hot day – an afternoon cone with two gourmet scoops. Or what about a splash-out afternoon tea where we all get a different piece of cake smothered in whipped cream and share? Not this week, sunshine. Although last night I relented when Tom pleaded for a tub of Ben and Jerry’s chocolate ice-cream so he could feast away while we watched a DVD at home. Of course, on my sugar-free challenge, I went without. Drinking alcohol has also definitely been a regular part of enjoying our holiday experience. It’s an indulgence – part of relaxing and having fun with friends. With no work to prepare for the next day, why not have fun? But my sugar-free goal is to have at least three alcohol-free days a week. Last night was one. Here’s my tip to make those nights when you feel like a drink, a tad more bearable while still remaining sugar-free. The idea is to think of SPECIAL TEA as a specialty drink!!! (sorry, corny…) Okay, it might take a bit of self-convincing but it can be done. First of all, you buy the tea from one of those trendy tea shops where everything is packaged beautifully and comes in pretty boxes with fancy names. The best sugar substitute tea is LIQUORICE TEA. Some say it also works as an appetite suppressant. I love it because it tastes sweet and fulfils my sugar craving without making a sinner of me. Another tip – it’s best to make a pot so you can refill your mug several times while watching something on the tele. That will fill you up too! Snack – Handful of raw pistachio nuts. Another handful of blueberries to complete my fruit quota for the day. Lunch – Half a Mediterranean roasted vegetable Baguette. I checked the sugar content of roasted Mediterranean vegetables on the web and generally they’re about 4.6% sugar so I think I’m in the clear there. And the baguette is 1.6% sugar, so all good. Snack – 1 Cafe Latte with Equal sweetener. Dinner is yet to come. I’m thinking it will be another alcohol free day as they’re usually easier early on in the week, but we will see… I’ll report in tomorrow. 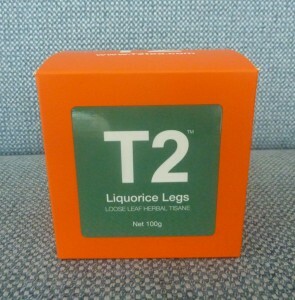 This entry was posted in Opinion and tagged Alcohol free day tip, Liquorice Tea, Lorne beach, One line rule diet, Sugar free diet, T2 Tea shop by JenniferHansen. Bookmark the permalink.